This proverb could be interpreted as, the health benefits of drinking tea out-weigh food, as much as the author could be saying he really loves tea. Everywhere tea is introduced people find remedial and medicinal uses for it. 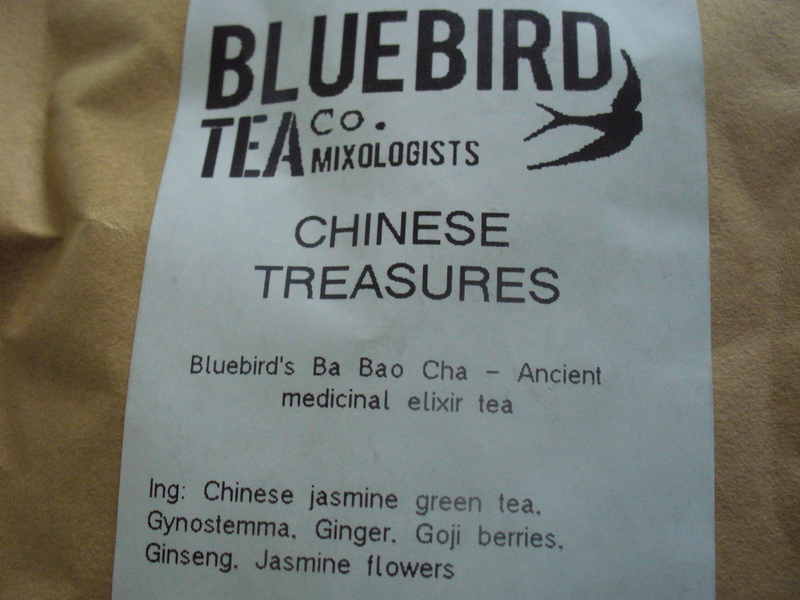 Even the other day I bought tea that claimed to be a version of a Chinese health elixir. Prehistoric peoples of China and India were the first to make use of tea’s antiseptic qualities by rubbing tea leaves on wounds. They also chewed the leaves, which would have given a caffeine hit. In China, tea was initially cultivated as a herbal medicine. It was predominantly grown in temples by monk. They used its peace and calming effects to help with meditation. It was the practice of meditatively drinking tea that the Chinese, Korean and Japanese tea ceremonies developed from. In south-western China, it was also used in a medicinal gruel, which included shallots & ginger. The monks also used to help them meditate. The Tibetans drink a tea-based beverage known as Po Cha or Tibetan Butter tea, which consists of salt, yak butter and a smoky type of black tea. It’s consumed several times a day. Besides keeping them warm, it’s like an energy drink and it protects their lips from cracking in the harsh climate. Like the Chinese, the Europeans discovered tea could be used to purity water, even if I wasn’t boiled properly. Tannic acid kills many water-borne bacteria that cause diseases like cholera, typhoid and dysentery. These anti-bacterial properties were passed on to infants through their mother’s breast milk. Reduction in infant mortality and death by water-borne disease meant the workforce was enlarged. However, some took advantage of these positive affects drinking tea and packed factories more densely than before. Many western doctors also championed the benefits of tea. Dutch doctor, Nikolas Dirx considered tea a panacea and extended life expectancy. Another Dutch doctor, Cornelius Bontekoe suggested tea be drunk several times a day. In 1686, a member of the British Parliament,T. 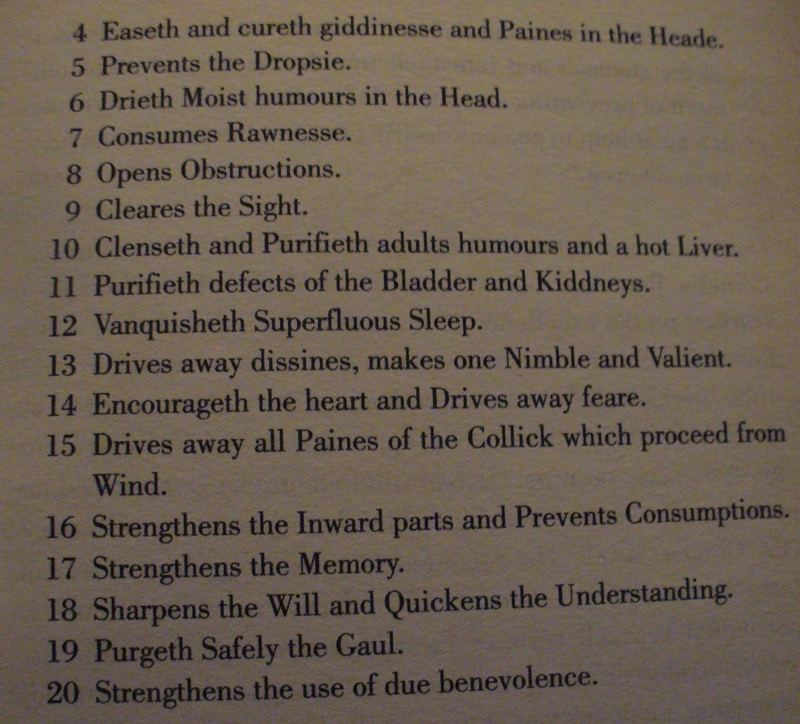 Povey transcribed a list of 20 medicinal benefits were by from a Chinese source. The list includes: Improved mood, relieves headaches, purifies liver, kidneys and bladder, improves circulation, decreases drowsiness, increases concentration and aids sleep. However there were some doctors who believed tea was poisonous and could lead to death. Tea has its benefits but like most good things humans tend to use in excess. Some have toted it as the cure for everything, including weight-control.